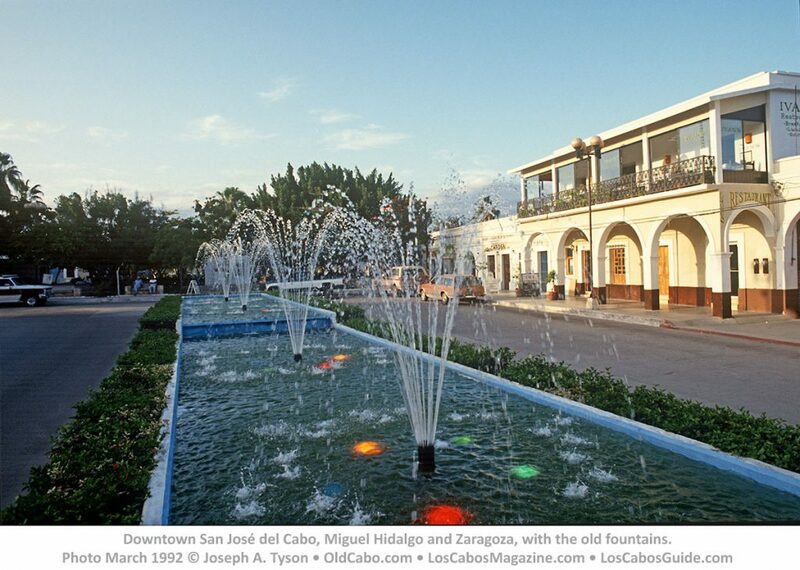 Villa Chica neighborhood, Historical Center of San José del Cabo, at the end of the sixties of the last century. I was less than ten years old. I had already lived in San José, where I spent a few years of basic education, but we lived in La Paz and as soon as I went on vacation the next day I was in San José with my cousins. I barely remember the gap where I passed on the yellow buses where my father worked as a driver and with his companions “I was in charge”, since I was traveling alone since I was six years old. Those were the times of the San José of a few thousand inhabitants. Estero healthy as a garden. Huertas in the historic center, Albañez, just three hundred meters from the current municipal palace. 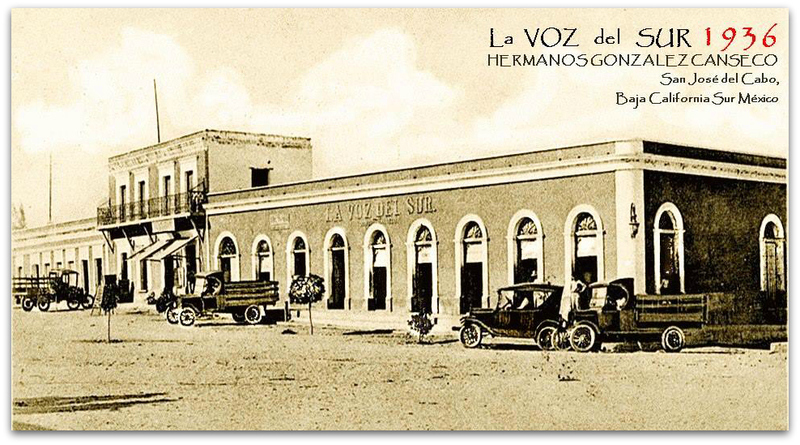 The local trade was dominated by the “Arámburo”, Don Ernesto and his son Enrique, and of course “Almacenes Goncanseco”, oldest store that had previously been called “La Voz del Sur”, owned by Don Valerio González Canseco, and that would later inherit Don Carlos Manuel González Ceseña, with whom I worked for two years, first as a merchandise packer and then as a general cashier, My fifteen years old. There I met many who were friends at my young age: Don Ricardo Mendoza Mouet, brother of “Pano” and Emilio “Milo” Mendoza, famous athlete, father of my friend Professor Luis Mendoza; to José Luis “Chivi” Verdugo Pedrín, grandfather of my friend Gabriel Fonseca; to Hiram Taracena; Don Avelino Navarro and his son “Cuate”, who took care of part of the warehouse and was responsible for the entry and exit of some forty or fifty workers; Don Ricardo Calderón de la Barca and his son the “Meme”; to Chabelita Montaño, to the Toli, daughter of Don Roberto Ceseña, Ruth Sandoval, Lucita, La Meche, and many other friends. Shortly before working there, I accompanied my godmother Chata to purchase every fortnight the food and articles for the house, with the salary religiously provided by my uncle Cano, to the old store where I met Don Joaquin Palacios, who managed the hardware store and Don Abel Olachea Ceseña, father of Miguel Ángel Olachea Palacios, who was municipal president of Los Cabos during the period 1993-1996. Dirt roads, scant cars, horses in the streets. to the old shop where I met Don Joaquín Palacios, who managed the hardware store and Don Abel Olachea Ceseña, father of Miguel Ángel Olachea Palacios, who was mayor of Los Cabos during the period 1993-1996. Dirt roads, scant cars, horses in the streets. to the old shop where I met Don Joaquín Palacios, who managed the hardware store and Don Abel Olachea Ceseña, father of Miguel Ángel Olachea Palacios, who was mayor of Los Cabos during the period 1993-1996. Dirt roads, scant cars, horses in the streets.